Final Fantasy XV director, Hajime Tabata took the stage at Jump Festa 2015 to showcase the new trailer & revealed new gameplay details for their upcoming action role-playing game. The trailer above showcases ‘Restarg’ city, it isn’t one of the biggest cities in the game, but it does have a major connection with the Titan, according to Tabata. The entire ‘Restarg’ city is seamlessly connected, but Tabata didn’t go into details. Players will have the option to stay in hotels, shop, rest, eat, drive around in the car & take part in various events. Resting is important in the game for level up, to receive status aliments, buffs to use during battles, you can go without resting for three days. Lack of sleep will prevent you from leveling up. Each day is about 60 minutes in real world, with 45 minutes of daylight. Making food & eating will be beneficial, food can be purchased at markets and then prepared at campsites, with bestows buffs. Initially, the Titan was part of the upcoming FFXV Episode Duscae demo, but the development team scrapped the idea since the Titan was important to the main story. Titan was replaced with Summon beasts. Summons play a less importance role in the final game, however, players will be able to control the powerful summon beats. Players can travel the world in Noctis’ signature car, few places will be accessible via train. You’ll be able to explore the train as you move around. Tabata revealed Cole will join the party to help them in a battle. The party doesn’t have fixed members. Cor Leonis will occasionally join Noctis and friends. The game will feature few guest character appearances. Cole is an advisor to Noctis’ father, Regis Lucis Caelum CXIII, the 113th king of the royal family of Lucis, the last kingdom to control a crystal. The new female character, Cidney is a mechanic, she doesn’t play a major role in the game’s story, but she is important to the gameplay as a mechanic. Cidney will make an appearance in Episode Duscae demo. In Final Fantasy XV‘s internal lore, Noctis is the only character with Magic powers. However, via a special, party members will be able to use Magic. FFXV Episode Duscae demo will include dual audio, both English & Japanese. 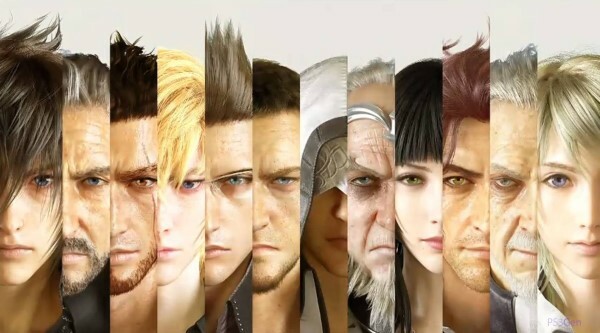 Tabata said, multiple languages for retail version could be a issue due to European languages & file size. He hopes to release a single SKU with all languages worldwide. The Episode Duscae demo will be limited to early copies of Final Fantasy Type-0 HD, but Tabata will offer thetech demo shown at Tokyo Game Show as a free download for fans who can’t purchase Type-0 HD right away, more details will be revealed after Episode Duscae release.